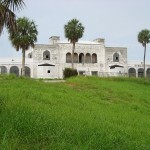 Tuckahoe, also known as the Leach Mansion or as the Mansion at Tuckahoe, is an historic home located at 1921 North East Indian River Drive in Jensen Beach, Martin County, Florida. The name was thought to be a Native American word for “welcome”. It is inside the present day Indian RiverSide Park and is atop the Mount Elizabeth Archeological Site, which was added to the National Register of Historic Places on September 14, 2002. On November 30, 2005, Tuckahoe itself was added to the National Register of Historic Places. On November 4, 2010, the local Daughters of the American Revolution chapter placed a plaque on the building. Abandoned for quite some time, it was a popular place for ghost hunters to try to capture orbs and strange sounds on their audio recorders – and many claimed to have succeeded. The building remained disused until 2009 when it was fully restored – and it is now a popular place to hold weddings. 1921 NE Indian River Dr.
Back when my brother was still in high school, he used to go there & video record with his friends. I saw the videos and he caught orbs & shadows. Pretty creppy. I’m pretty your brother is me. U have the videos? Or pics? Been having strange things happen myself. Not here but i live in jensen. Tryin to find sum other incidents.. No 1 beleives me..
Back in the 1980’s, I was an adjunct history teacher with FIT and IRCC, which used buildings in that area of Jensen Beach for classrooms. Most of my classes were held in the building next door, now torn down, I believe. But one semester in the fall, my evening class was actually held in one of the rooms of the Tuckahoe Mansion, a room upstairs with large windows facing the river. The class was taking the final exam one evening, and a few of the students took a long time to answer the essay questions. By the time the last student had left and I gathered up papers and materials to leave, the house was deserted. I remember stepping out into the second floor hallway from the classroom, and looking down the hallway behind me as I headed toward the stairs. 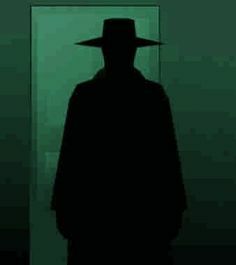 At the far end of the hallway was a shadowy figure of a man, wearing a long overcoat and a fedora hat. He looked to me more like someone from the 1940’s or 50’s than the 1980’s. I was startled to see someone standing there so late and called out a cheery greeting over my shoulder as I briskly headed toward the stairs. At the sound of my voice, the image dissolved. You know, I then RAN to the stairs, got the heck out of there and into my car to bolt home. 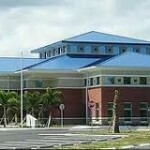 I told my husband about it, who offered to accompany me if I had to teach in that building again. But with the end of the semester, I had no occasion to visit the mansion again, and actually I forgot about the incident until seeing this photo of the house. Is this what u saw? My friends and I used to go there all the time as teenagers back when it was still abandoned. Around 2005. We witnessed the orbs in the pics we took. Also in that long hallway near the piano room we all saw the same shadow come towards us from the end of the hallway. It creeped us out and we turned out flashlights right back on. We visited that place a lot of times. Awesome place for ghost hunting. I work for the Mansion at Tuckahoe. I am in this mansion almost everyday and night. I have never had an encounter with the supernatural neither any of my co-workers and there have been no deathes in the home so someone better get there story straight. So you have been told James. Many skeptics have or notice supernatural occurances. If they do they rarely admit to it. When it was abandoned there was some kind of chair in the basement, it seemed like an electric chair.. any details? As the person who discovered a femur bone there I can attest that yes it is a native american burial site. It was reported, dated, and buried on-site.